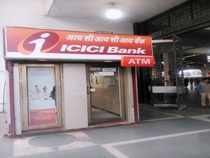 Mumbai: ICICI BankNSE 1.69 % expects its mortgage lending portfolio to cross Rs 2 lakh crore by March 2020, paced by robust demand from buyers of affordable homes in smaller cities. The private-sector lender said that it had expanded its mortgage business to 500 new tier II, III and IV markets in FY19 to widen the housing-loan portfolio, which at the end of the December quarter stood at Rs 1.7 lakh crore. That accounts for about half the entire retail loan book at the bank. The lender on Thursday announced that it has digitised the application and sanctioning process for home loans up to Rs 1crore for tenures of 30 years. This feature will enable the bank’s pre-approved salaried customers to avail the final sanction letter on home loans instantly through the internet banking facility. The bank has also extended the digitisation facility for customers seeking top-up loans on secured credit lines up to Rs 20 lakh for tenures of 10 years.